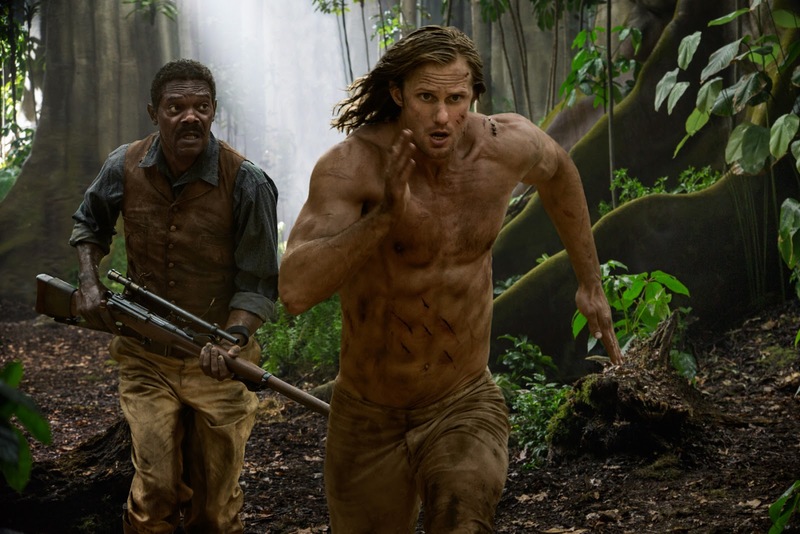 There are two movies aggressively battling for dominance at the heart of The Legend of Tarzan, David Yates’s umpteenth update of Edgar Rice Burroughs’s classic literary icon. One is a genuinely fun, light-hearted throwback to post-Indiana Jones 1990s pulp adventures like The Mask of Zorro, The Phantom or Rudyard Kipling’s Jungle Book. The other, alas, is a brooding, gloomy, half-realized attempt to channel the gravitas of Christopher Nolan’s Dark Knight trilogy. These two approaches are so diametrically opposed to one another that the result is a confused, watchable mess with an identity crisis. It wants to swing freely and boldly from vine to vine, yet with heavy weights tied to its ankles. Like so many misfired blockbusters, the project feels badly compromised by being over-developed. In the works since 2003, Tarzan was passed from director to director, with several writers attached. The final screenplay is credited to Adam Cozad (Jack Ryan: Shadow Recruit) and Craig Brewer (Hustle & Flow, Black Snake Moan), and undeniably feels like two very specific visions smashed together. After all, this is a film where multiple characters grimly mourn their deceased children while Christoph Waltz, playing a white suited, moustache-twirling baddie who chokes his prey with a ninja weapon-like rosary, shouts clichés like “Don’t shoot! You’ll hit the girl!” Either angle could theoretically be successful. Together, though? Tonal whiplash city. An original tale, culling many elements from Burroughs’ stories, The Legend of Tarzan reintroduces us to famed jungle crusader John Clayton III (Alexander Skarsgård) years after returning to his ancestral home of Greystoke Manor in Victorian London. Living a respected, if stale, aristocratic life, he’s caught off guard when gun-slingin’ American envoy George Washington Williams (Samuel L. Jackson) urges him to investigate Belgium’s developments in the Congo. Extremely reluctant to accept the invitation, he ultimately decides to make the journey due to pressure from his wife Jane (Margot Robbie, suitably plucky in her pretty thankless job), who sees the trip as an opportunity to reignite their love affair and help ease the grief of losing their son. Soon after arriving, however, the trio becomes embroiled in a horrendous plot, overseen by King Leopold II’s representative Leon Rom (Waltz), to enslave the native population and dig up a vast diamond fortune. Director Yates, who so deftly balanced darkness with wonder and joy in the last four Harry Potter entries, would seem the perfect talent to somehow make The Legend of Tarzan’s clashing sensibilities work. Unfortunately he only half succeeds, imbuing the more high-spirited sections with the necessary energy. There’s a lot of welcome goofy and broad material, from set-pieces involving gorilla fights, Jurassic Park-homaging ostrich flocks, crocodile attacks and a nifty mass stampede, to small moments like (Apocalypto-inspired?) surgery via ant pincers, and some solid buddy comedy between Skarsgård and Jackson. These flights of fancy are a genuine kick, and leave one wishing for a version that really sold just how cool it would be to be Tarzan! Who wouldn’t want to pal around with fearsome animals, scamper around treetops and take down cartoonish bad guys in order to save the day? Because, given the picture’s ridiculous $180-million-dollar budget (it was shot a couple years ago in a warehouse and given the Avatar/Jungle Book CG treatment), shouldn’t this be an unabashedly exciting family-friendly spectacle? It just makes economic sense. And every attempt Yates makes to try to get dark and somber fails miserably. No one buys a ticket to watch Tarzan mope and refuse to get his groove back, but that’s just what Skarsgård is forced to do for far more time than desired. We can buy Bruce Wayne, and his scary armored alter ego, as a tormented soul. A bare chested, tree-climbing hero in a loin cloth, though? Not so much. No matter how hard composer Rupert Gregson-Williams’s Hans Zimmer-lite score blares into overdrive trying to convince us we’re witnessing the mighty rebirth of a painfully serious superhero. There’s also the issue of just how difficult and problematic this mythos is to transport to modern day cinema. Do we truly need another story about a brave Caucasian savior protecting African people? The superior 1999 Disney animated take smartly focused more on animal conservation. Here, though, our protagonist is responsible for thwarting slavery and talking sense into a deceived tribal chief (Djimon Hounsou, in a role so brutally undeserving of his considerable gifts). 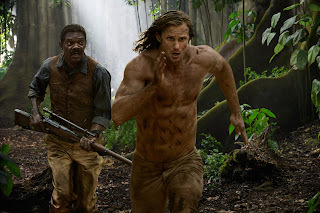 Making Jackson’s sidekick a fairly active participant in the direction of events helps a bit, however he's still a supporting player and no one on-screen champions him the way they do “the white ape.” The world was a very different place when Tarzan was introduced in 1912, and it’s highly debatable whether this is material that desperately needed to be resurrected in this form. And by making unwelcome stabs at being gritty and grounded, the movie invites more criticism than it might have had had it just been a silly and carefree swashbuckler. Maybe we wouldn’t be motivated to ask these types of hard questions if Yates and his team had found a more compelling, thoughtful and artistically satisfying way to drag Burroughs’s brainchild into 2016. 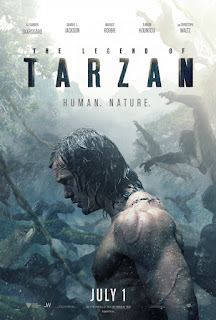 This adaptation isn’t an embarrassment (no comparisons are warranted, for example, to the disastrous and porny 1981 Bo Derek star vehicle Tarzan, The Ape Man), it just never really justifies itself. 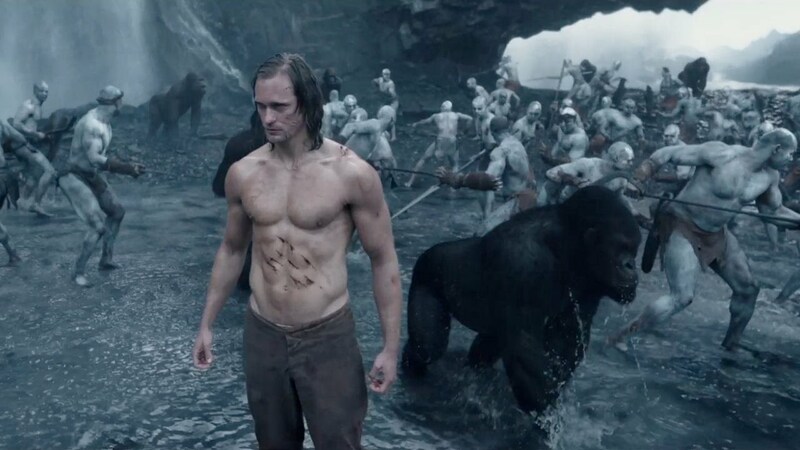 The Legend of Tarzan will probably please those receptive to its campier minor charms, but it’s certainly nothing to beat one’s chest for.